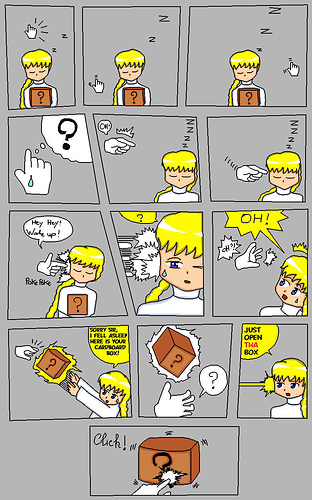 I just opened a new pixel comic on Webtoon, called: "Just open thA box"
But i lack ideals, which items should i put into my comic? Swords, Staff, Rods, Shield, Armor, Bow and Arrow, Claws (like Wolverine. ), Potions.